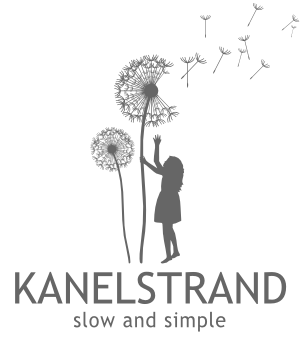 Kanelstrand: Which is Better for Hair: Lemon Juice or Vinegar? In the three years that I've been no-pooing it was a habit of mine to replace hair conditioner with apple cider vinegar. I knew that some people used lemon juice instead of vinegar but because vinegar gave me great results I never tried lemon. 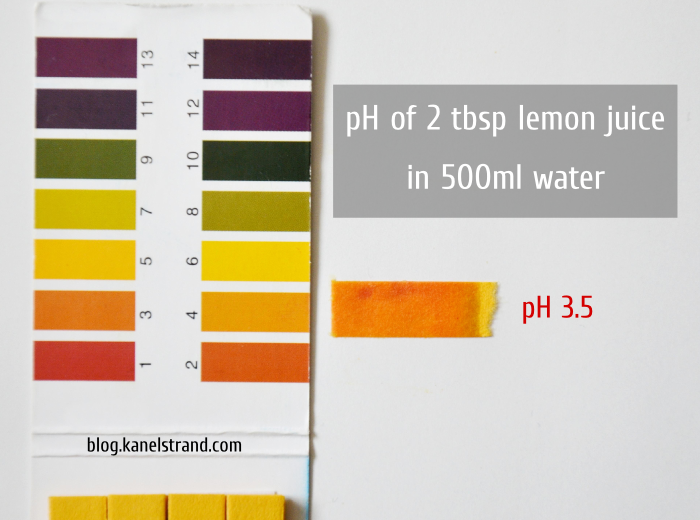 A few days ago Kanelstrand reader +glittermoongdes asked me to test the pH of lemon juice and see if it can safely be used instead of vinegar. Which reminds me, if you still haven't read my post about how baking soda destroyed my hair, please do so. And if you are doing the same to your hair, you are killing it slowly. Stop immediately. Hair and skin are covered by a very thin fluid layer comprised of oil, salt and water, called the mantle, which is slightly acidic and has a pH balance of between 4.5 - 5.0. This natural acidity of the hair and scalp prevents fungi and bacteria, and keeps the cuticle closed and healthy. If your haircare routine is too alkali your hair cuticles will stay open and your hair will be dry and brittle. But if you use pH balanced products, i.e. ones that are close to the natural pH of the hair (4.5 - 5.0) your hair cuticles will close properly which will result in healthy shiny hair. But what's the case with vinegar/lemon juice? After an extensive research I am positive that vinegar and lemon juice are used interchangeably, and mostly depending on personal preference. Both vinegar and lemon have long been used to make hair silky and lustrous. They work to restore luster by removing build up from other hair products. The acidity of vinegar and lemon juice leaves hair smooth and silky and detangles your hair. They fight dandruff and improve scalp health. They also stimulate the scalp and promote hair growth. Depending on your hair type, you may want to use a vinegar/lemon rinse once a week, or as often as three times a week. 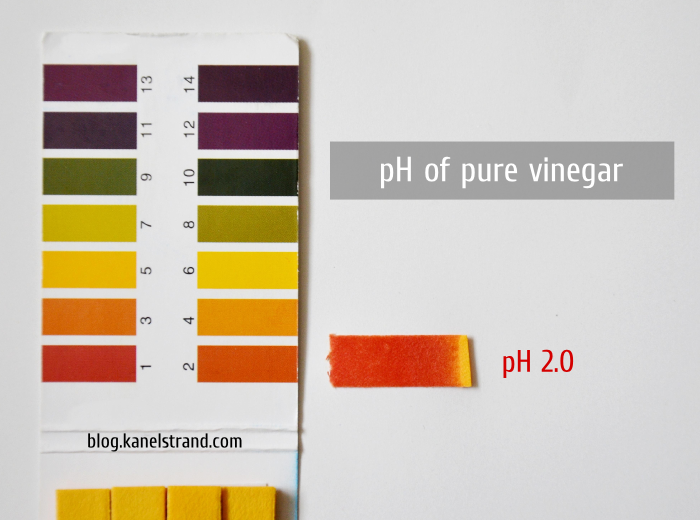 Before I continue with the actual measuring of the pH let me explain that vinegar (as well as lemon juice) is a dilute acid that can be made more dilute using water, it can be neutralized using a base, but it cannot be made into a base. The term "pH" stands for "potential hydrogen" -- which means that the more free-floating hydrogen ions in a solution, the more acidic the solution is. Vinegar's pH will always remain at a number lower than neutral, no matter how dilute it is, because vinegar is an acid (source). Pure apple cider vinegar has a pH 2. 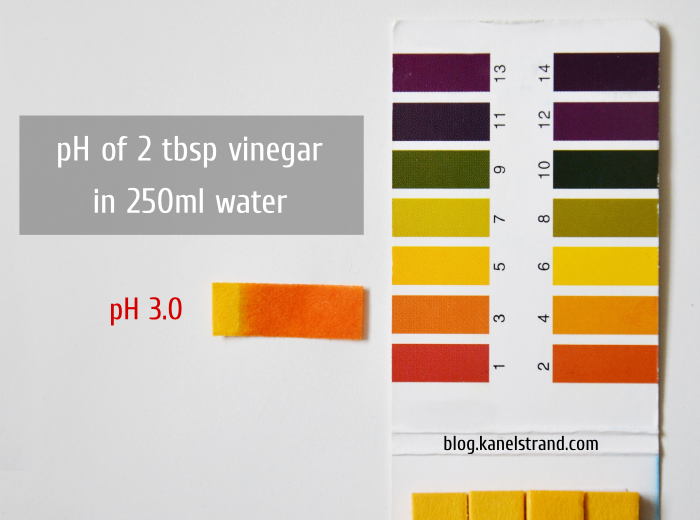 Here is the pH of 2 tbsp vinegar diluted in a cup (250ml) tap water. 2 tbsp lemon juice diluted in a cup (250ml) tap water is slightly more acidic than 2 tbsp of vinegar diluted in a cup of water. 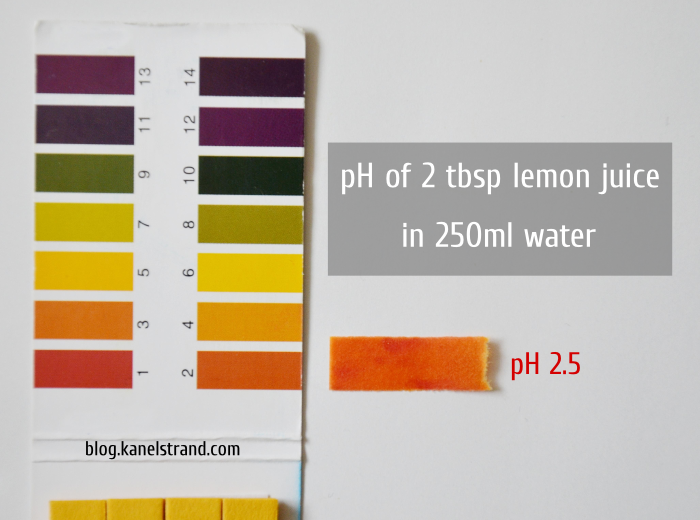 But when you dilute 2 tbsp of lemon juice in 2 cups of water you get a pH of about 3.5 - 4. 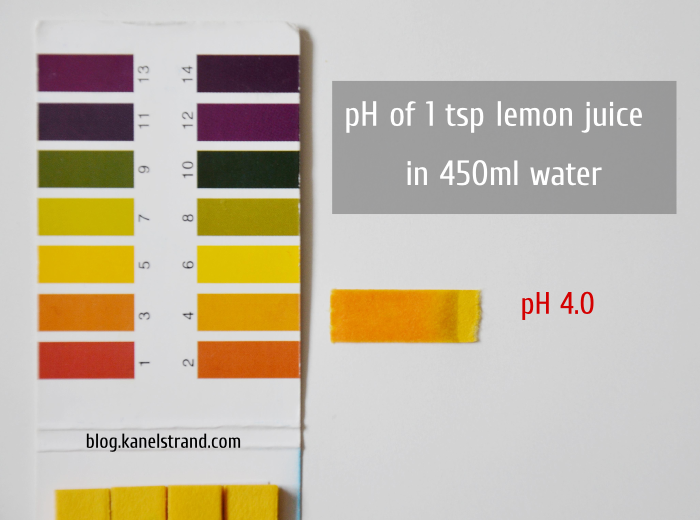 Edit: If you insist on getting the pH of your lemon juice rinse to 4.0 you can dilute 1 tsp lemon juice in 450ml tap water, which is roughly 1 3/4 cup. The reason for using an acidic hair rinse is that it helps our cuticle scales to lie as flat as they can so they won't be torn off or won't allow stuff to pass into our hair shaft. In that sense, a vinegar or lemon juice rinse works toxic-free magic for a considerably less amount of money than the conditioner you can buy. 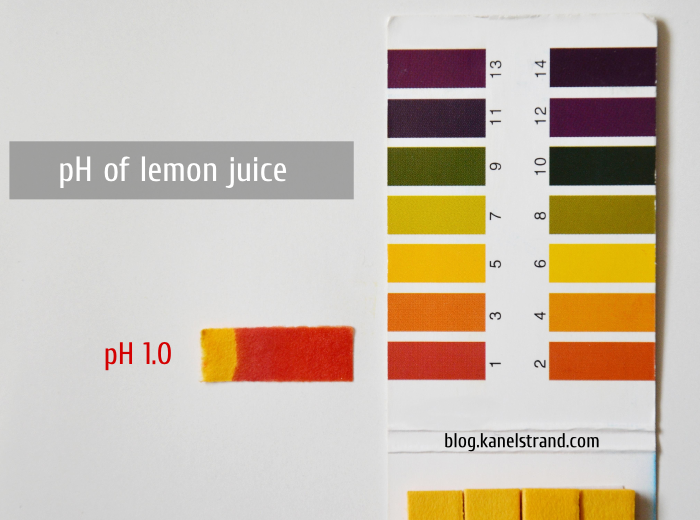 As you can see from the pH tests, lemon juice is a tiny bit more acidic than vinegar, but it has the same qualities. There is no documented danger of using it as a hair rinse. One thing worth noting is that lemon juice will lighten your hair in direct sunlight. If you dislike the smell of vinegar, I have a solution for you! 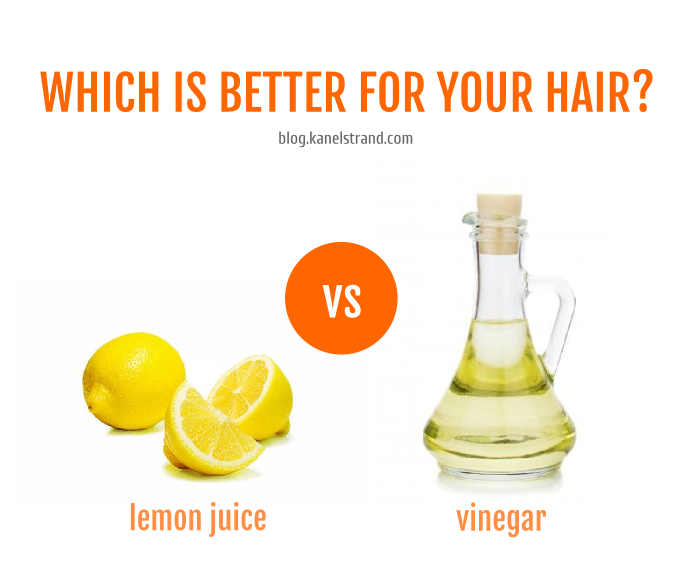 Have you tried rinsing your hair with lemon juice or vinegar? What's your experience?